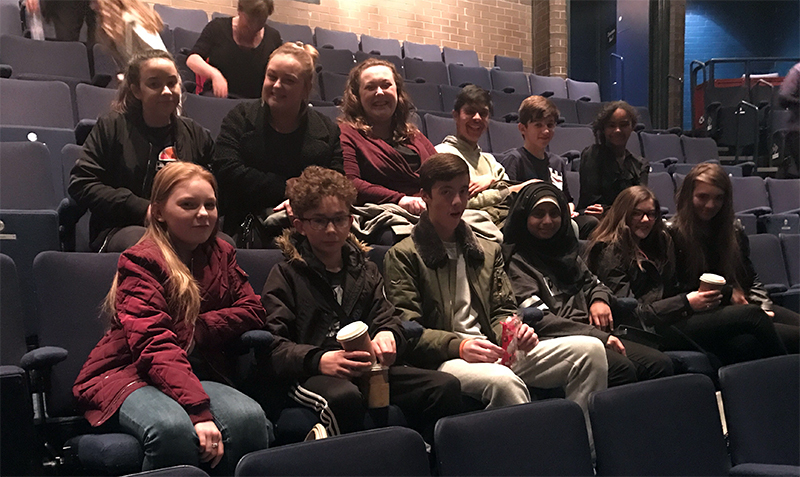 On Tuesday 25th October I had the pleasure of taking a group of year 9 students to see ‘The Woman In Black’ at The West Yorkshire Playhouse. It was a great opportunity for the students to experience such a high quality and professional production which is known as the most terrifying theatre experience in the world. Students left feeling excited about drama and inspired by the production. A personal favourite of mine from the afternoon was when a certain student (Dilan) and member of staff (Miss Eyre) screamed out loud as the tension built and the woman in black appeared from the darkness. I very much look forward to the next theatre trip with our fabulous students who were a credit to the academy on the day.